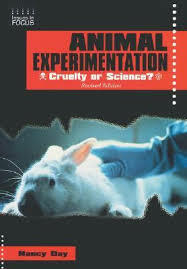 Animal Testing Research Papers dissect what the laboratories around the world do with animals during testing. Animal testing research papers often illustrate that scientific experiments on animals is cruel to the animals and is unnecessary. Medical testing has developed beyond the need to use live animals and can adequately be done in virtual environments. Have Paper Masters custom write you a research paper on animal testing that overviews all the various issues that complicate this issue. Much of the animal testing that occurs in laboratories around the world has little to do with the survival of the human species. Instead, this experimentation is involved in meeting the insatiable desires of consumerism. Consequently, the development of cosmetics utilizes animals extensively in their formulation. Many opponents argue that such use of animals is cruel. One of the first examples of the cruelty of animal testing that came to the awareness of the public was the use of the Draize test. This test consisted of forcing various solutions into the eyes of rabbits to determine if the liquid was harmful. More often than not, the effects were harmful to these test animals. Many animal rights organizations have documented the cruelty that animals have suffered in research laboratories. PETA recently disclosed a report regarding animal abuse at Huntingdon Life Sciences Laboratories. This organization performs research for Proctor and Gamble, Colgate-Palmolive, and other companies. Videotapes of research practices include animals being dissected alive and slammed into cages. Dogs appear especially to suffer at the hands of Huntingdon researchers. Exposed repeatedly to household products, dogs are often slowly poisoned. Incredibly, evidence also indicates that in many cases the doses of drugs and toxins that various test animals receive are falsified, making the so-called scientific tests worthless or meaningless. Another well-known company that utilizes animals in the research and development of its product line is Gillette. This company’s research department used 2,304 animals to test various toiletries in 1993. But they are not alone, many companies test new cosmetics under the standard of the “lethal dose fifty test”. Animals are forced to ingest chemicals until a minimum of fifty percent of the creatures die. Paper Masters writes custom research papers on Animal Testing and dissects what the laboratories around the world do with animals during testing.